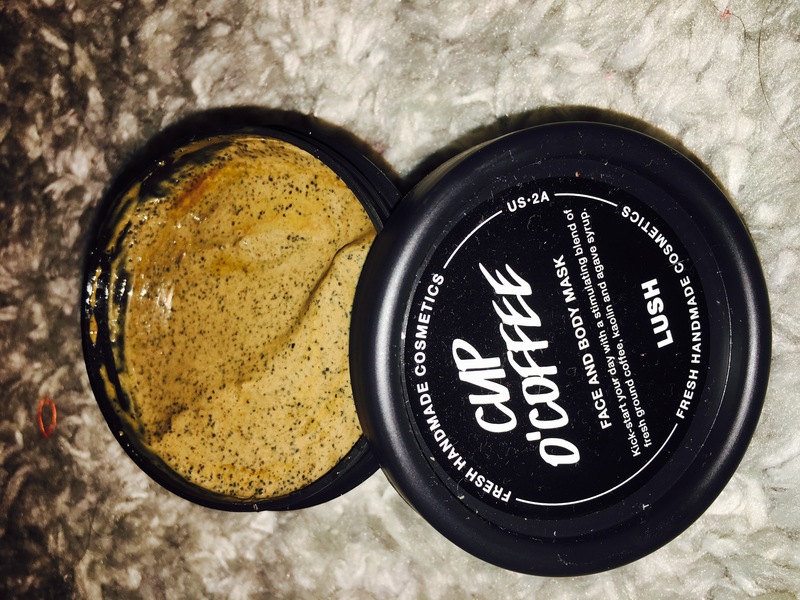 Another day another dollar… And I’m back with another product review… for… LUSH products!!! 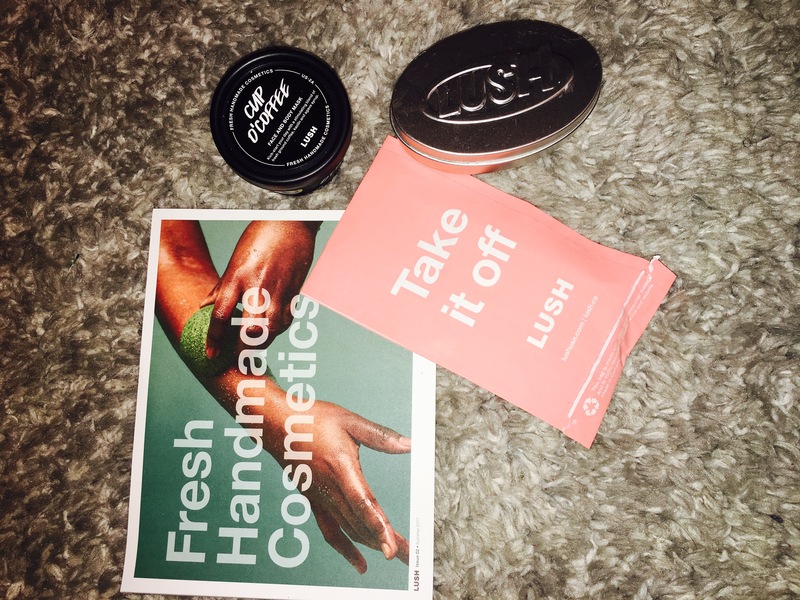 I just love going into LUSH, the environment is not relaxing. This wasn’t a planned trip- this was a “I was walking in the mall and walked into the store” trip. I absolutely the massage bars at LUSH. My goal is to try them all. Honestly, they feel amazing on your skin. 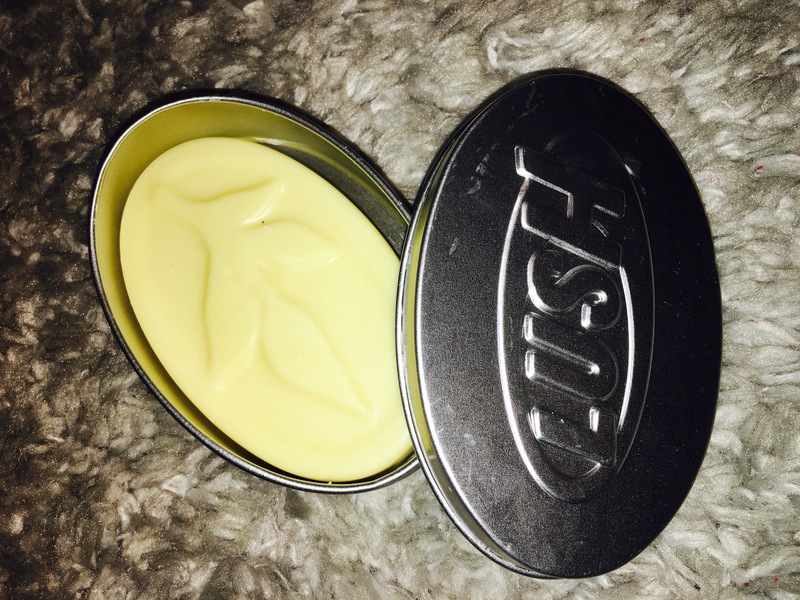 After a long hot bubble bath, air dry and then rub the bar along your skin. The warmth of your body melts the bar just the right amount to coat your skin. The smooth and gritty texture of the bar feels like you’re in a spa getting a massage from a trainer professional. The tin is an added bonus. The last time I bought a bar and traveled – it melted in my suitcase. Even though I packed it in a plastic bag it made a mess everywhere. So at least with the tin it if melts I can place the tin in the freezer to turn it back solid. Cup O’ Coffee is a new buy for me. I think this is the first time I seen the product in store. It’s a face and body scrub. I cannot wait to play with this stuff and tell you about it.